From the brewery’s core portfolio, ‘Broadway Boss’ is an unfiltered pilsner lager brewed with classic Hallertauer Mittelfrüh and Lemondrop hops. On pour, the beer is clear golden, capped with a white head. Aromas of light grain, straw, biscuit and grass are each prevalent, joined by notes of lemon peel and apple. Lemon continues on the palate, joined by a nip of dough, more pale grains, cereal and a whisper of salt. Light-medium bodied with moderate carbonation, Broadway Boss climaxes with a pithy finish that’s notably clean, thanks to lager yeast. While London Fields Brewery’s Pils Lager isn’t necessarily revolutionary, it’s an easy-drinking, fair example of its respective style. 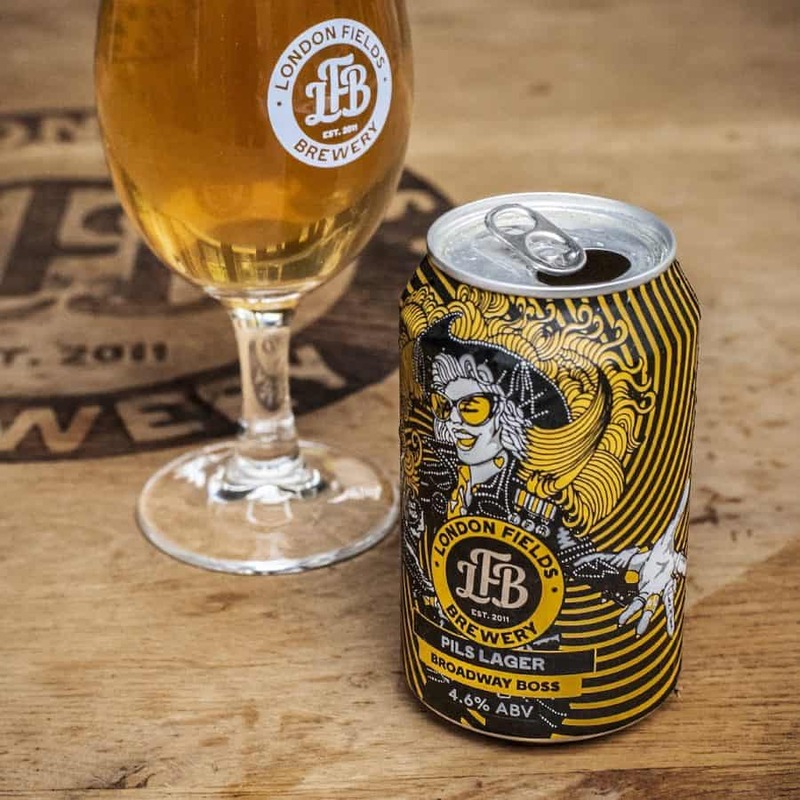 London Fields Brewery Broadway Boss is available from Ocado, £1.80, 330ml can. Further information on London Fields Brewery can be found here.